Visit DssW online to buy your Power Manager licence. Licences are issued immediately after purchase. You must enter your licence code into Power Manager to remove the demonstration expiry date. 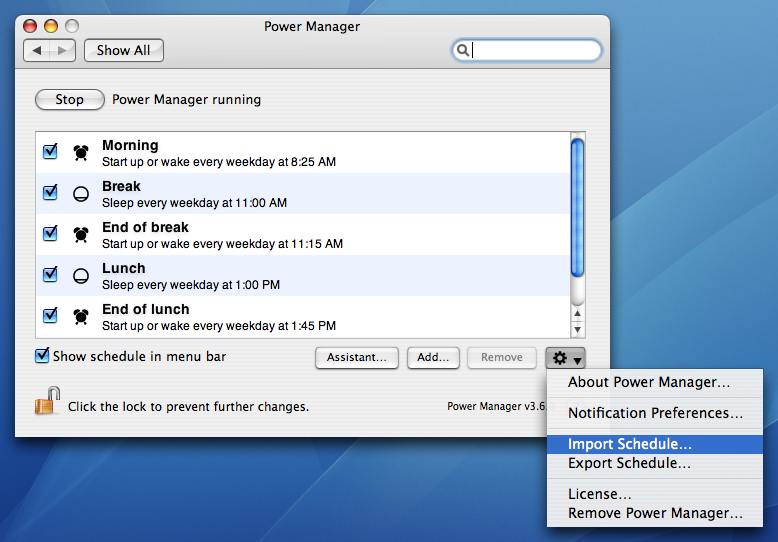 Open the Power Manager Preference Pane. Select License… from the Action (cog) menu. Enter your details exactly as they appear on your licence. The licence information provided is case sensitive; capital letters are different characters from their lower case equivalents. A licence code is needed to continue using Power Manager after the demonstration period. The demonstration period is 30 days after you install Power Manager. Your expiry date is displayed in the Power Manager System Preference. If you have lost your licence code, please contact support@dssw.co.uk with your name, organisation, and approximate date of purchase.